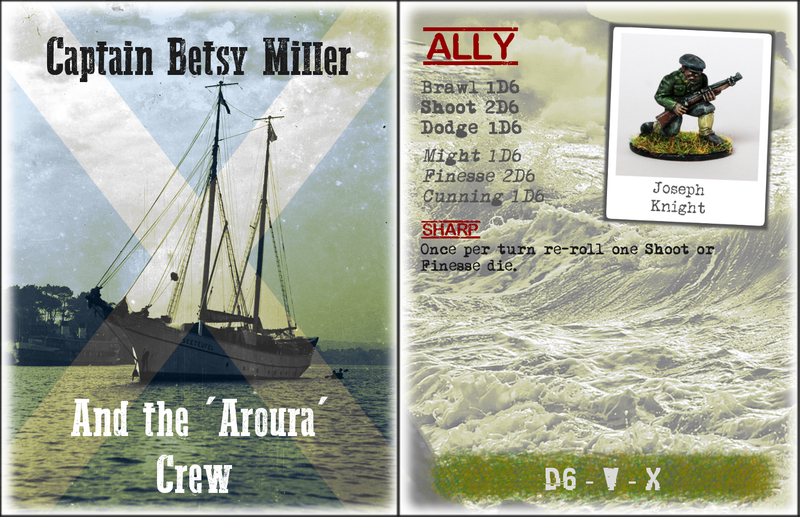 Obviously when making silly adventure tabletop games, sooner or later you are going to have some swashbuckling pirates, because, well, what would be the point otherwise? To fill this role we have “Captain Betsy Miller and the Aroura Crew”. 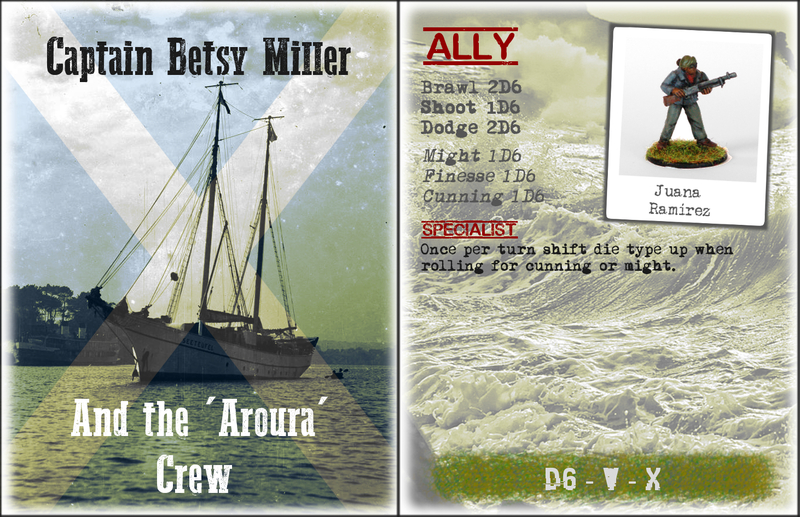 All of my characters have names from real historical people, and the real Captain Miller lived in Saltcoats in Scotland between 1792 and 1864. She was the first woman sea captain in the UK to be certified by the board of trade, and frankly her life could be a pulp story in itself: she gained a reputation as an excellent shipwoman who could handle her brig in the most adverse conditions and would sail in weather no other captain dared face. As a result she commanded a great deal of respect from her crews. She didn’t stop sailing until she was seventy years old, when she handed over to her sister. 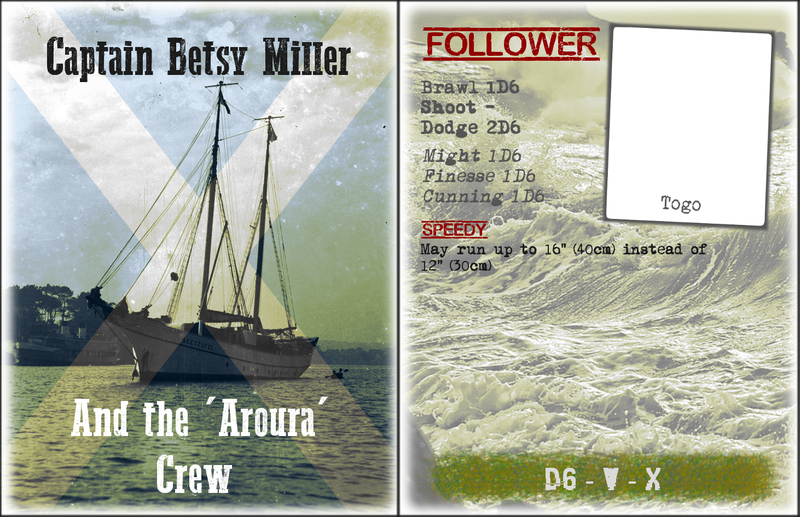 I’ve mentioned before that I prefer female characters to be fully clothed and shaped like normal humans, so to make Miller I took another ‘female head’ and did some rather dramatic surgery on a “Merchant seaman” I had to hand. 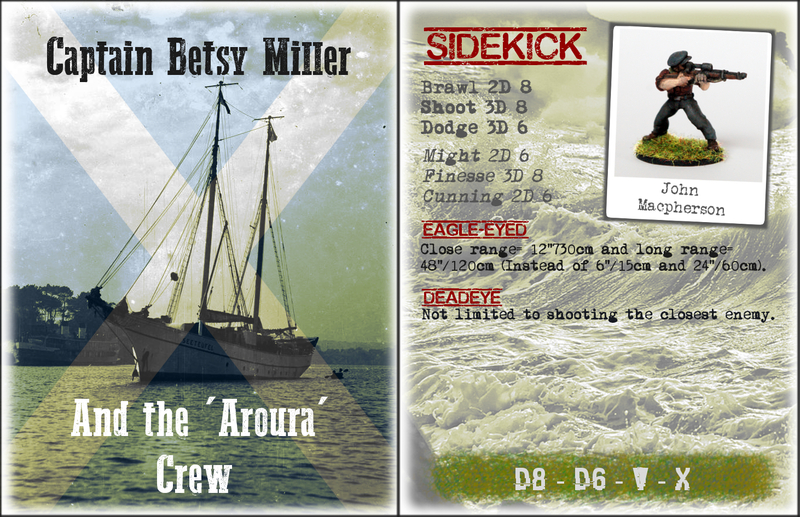 Finally, the dog who will be a trusty follower for the crew, as soon as I’ve painted him anyway. ‘Togo‘ was an Alaskan husky and sled dog, and was lead dog on the longest and most dangerous 1925 Serum run to Nome, Alaska transporting a Diphtheria antitoxin to prevent an epidemic in the town. Cool stuff! I miss miniatures gaming. There isn’t anyone close here to do it with and my health decline has messed with both my ability to make and paint miniatures and trains, and to focus on game play. Finals; no really this time.